Lovely picture........I am so glad I did invite Him into my heart. Oh, that is such a great pic. Thank God we've answered the door. Oh I want to allow Him into the dark crevices. 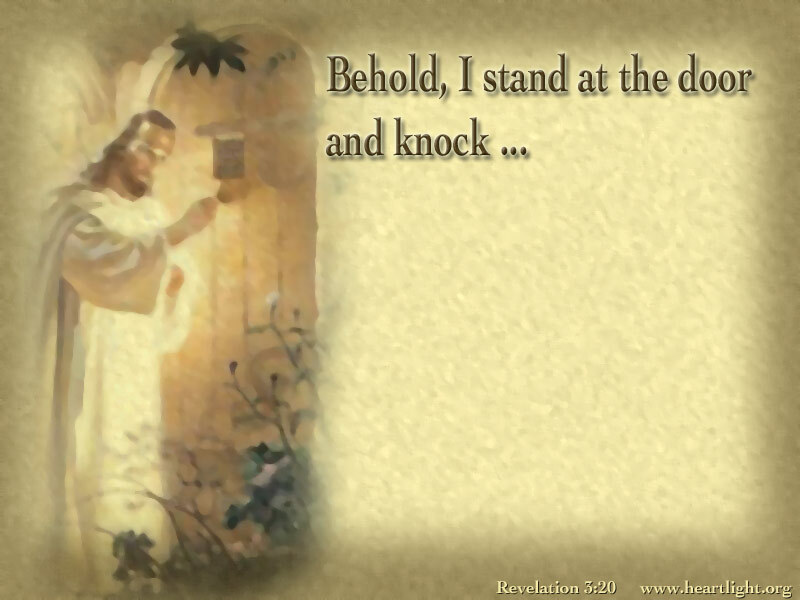 May all who hear Him knocking allow him to come in! great verse and reminder! Thank you! I praise Him for knocking on the door of my heart!